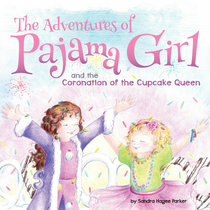 A cute, illustrated story about a girl's imagination which leads her into a dream related to the theme of her pajamas. In this adventure, Ellie and her Sis take a journey to a land filled with all kinds of sweet treats including cupcakes. Their journey quickly turns into an adventure to help the Queen of the land find the missing sprinkles needed for the coronation ceremony. Ellie and Sis uncover more than just the missing sprinkles&...a life lesson that is important for every child to learn. About "The Adventures of Pajama Girl"